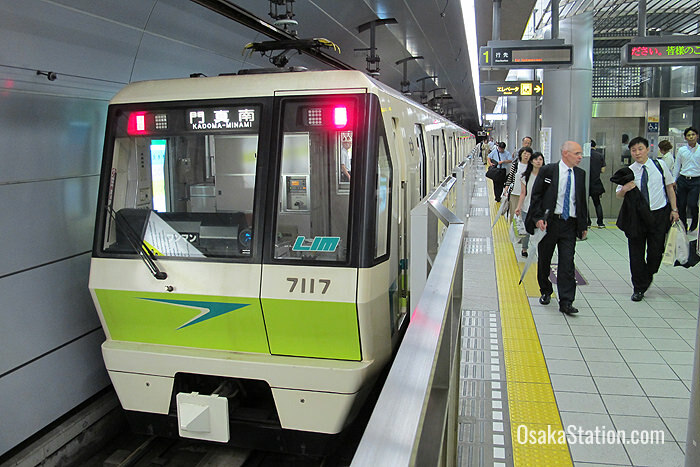 Osaka Municipal Subway’s Nagahori Tsurumi-ryokuchi Line runs between Taisho Station in Osaka City’s south-west and Kadoma-minami Station in Kadoma City, which is just north-east of Osaka City. 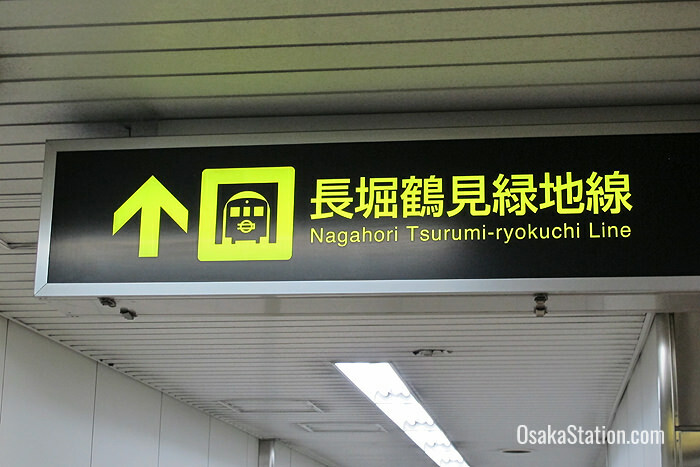 The line is named after Nagahori-dori, a major boulevard in central Osaka, and the Tsurumi-ryokuchi park in north-eastern Osaka. The line was originally opened to provide access to the Tsurumi-ryokuchi Park during the International Garden and Greenery Exposition of 1990. Osaka Municipal Subway is not covered by the Japan Rail Pass. However, there are other discount passes that can be used on the subway and these are listed at the end of this article. 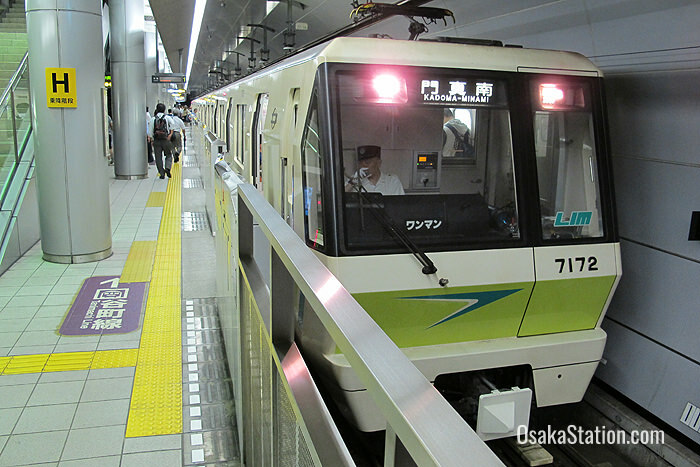 The key destinations are listed below with fares and train times given from Taisho Station. Taisho Station is the western terminus of the Nagahori Tsurumi-ryokuchi Line and is located in the Taisho Ward of Osaka City. Transfer here to the Osaka Loop Line. Dome-mae Chiyozaki Station is convenient for the baseball stadium, Osaka Dome. There is another station nearby called Dome-mae Station, at which transfers can be made to the Hanshin Namba Line. Transfer here to the Sennichimae Subway Line. Shinsaibashi is a popular shopping area in Osaka. It is famous for the Shinsaibashi-Suji, a covered shopping arcade which has many tailors, brand shops and boutiques selling clothing and jewelry of all kinds. Nearby is Amerika-Mura (also called Ame-mura) a local center of youth culture with stores selling second-hand clothes, records and imported goods. Use the official Shinsaibashi and America-mura websites to find out more about this area. Transfer here to the Midosuji Subway Line and Yotsubashi Subway Line. Exit here for the Crysta Nagahori underground shopping mall. Transfer here to the Sakaisuji Subway Line. This station is convenient for Matsuyamachisuji Shotengai, a shopping arcade with many wholesalers selling dolls, toys, candies, and fireworks. Tanimachi Rokuchome Station is convenient for Karahori Shotengai, a historical shopping street that has recently seen a resurgence in popularity for its fashionable boutiques and cafes. Transfer here to the Tanimachi Subway Line. This station is convenient for Tamatsukuri Inari Shrine. Transfer here to the Osaka Loop Line. This station is at the southern end of Osaka Castle Park and is within walking distance of the Osaka International Peace Center. Transfer here to the Osaka Loop Line and the Chuo Subway Line. This station is at the northern end of Osaka Castle Park and is convenient for the Osaka-jo Hall (a multi-purpose arena), and the Izumi Hall (a classical music concert hall). Kyobashi is a large commercial and entertainment district, packed with bars and restaurants. Kyobashi is also an important transportation hub as there are two more stations here which are run by JR West, and Keihan Railways, as well as the Osaka Municipal Subway station. At JR Kyobashi Station transfer to the Osaka Loop Line, the JR Katamachi Line which connects with Kizu Station in Kyoto Prefecture and the JR Tozai Line which connects with Amagasaki in Hyogo Prefecture. At Keihan Kyobashi Station transfer to the Keihan Main Line which runs between Osaka and Kyoto. Osaka bound trains diverge here for final destinations Yodoyabashi Station or Nakanoshima Station. At Gamo Yonchome Station transfer to the Imazatosuji Subway Line. Exit here for the botanical gardens at Tsurumi-ryokuchi Park. This station in the city of Kadoma, is the northern terminus of the Nagahori Tsurumi-ryokuchi Line.